Sometimes you just have to get away from it all. And sometimes, you really need to get away from it all. Wouldn't it be great if you could just launch into space for some private time? 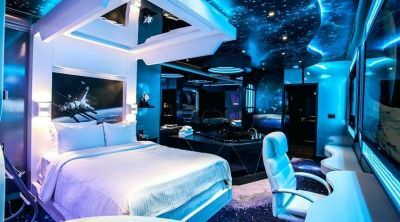 The only thing that could make it better would be if there was a luxurious, zero-G hotel room waiting for you. Good news — that hotel is taking reservations (assuming you can afford it). Welcome aboard Aurora Station. Well, not quite yet. 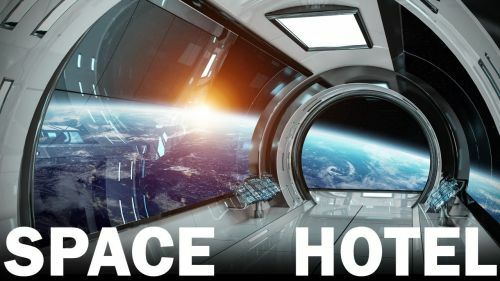 The world's first space hotel isn't slated to launch until 2021, and won't welcome its first guests until 2022. 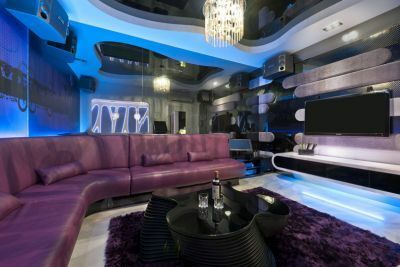 But if you've got $80,000 to spare, you can make your reservation right now. It makes sense to plan ahead — Aurora will be just 44 feet (13 meters) long and 14 feet (4 meters) wide, and only take four guests at a time. 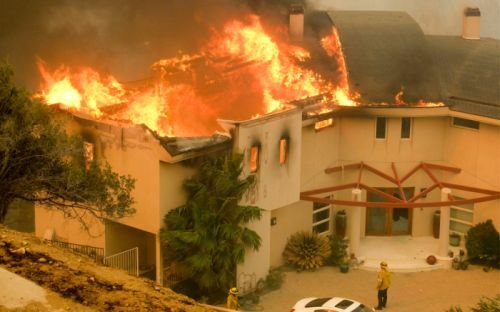 Even if you're prepared to throw that kind of cash down right now, be aware that the $80K is just a fully refundable deposit. 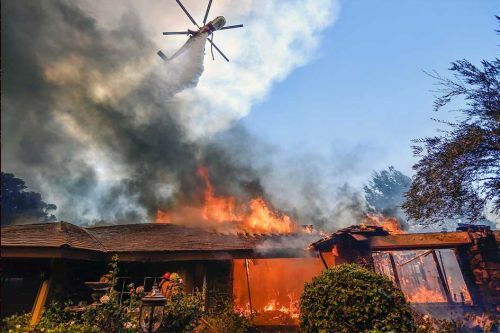 The full price is projected to be in the neighborhood of $9.5 million (which is still a lot cheaper than the $20 million that Lance Bass was asked to pony up for his canceled trip to the International Space Station). You have to spend a lot of Gs to get to zero-G, but what other amenities will you get for your money? 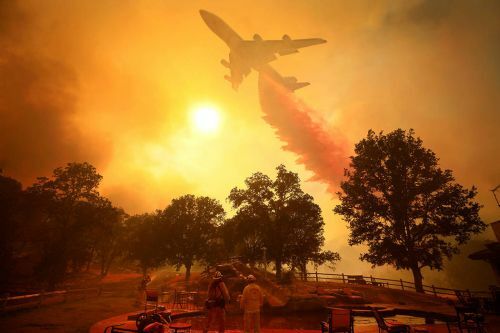 $9.5 million buys you a three-month training program to prepare you for blastoff and the chance to participate in extraterrestrial science experiments, not to mention a series of 16 sunrises and sunsets condensed into your 12-day stay (good luck finding that in an Earth-bound suite). 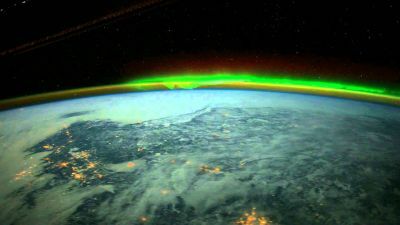 But probably the most exciting sight will be the natural phenomenon that lends the station its name — both the Northern and Southern Lights will unfold 200 miles below you every single day. The hotel hasn't launched yet, but already its developer Orion Span is planning future renovations. From the very beginning, Aurora Station will have the potential to expand, with ports to connect to new modules and living quarters as demand requires. But adding more rooms to the hotel is only a part of the company's long-term goals. 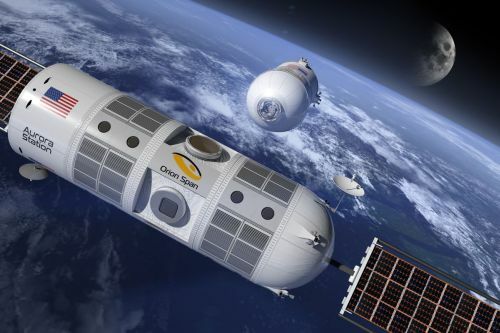 Those new modules might take many different forms — Orion Span would like to build space manufacturing facilities and laboratories for zero-gravity research as well. 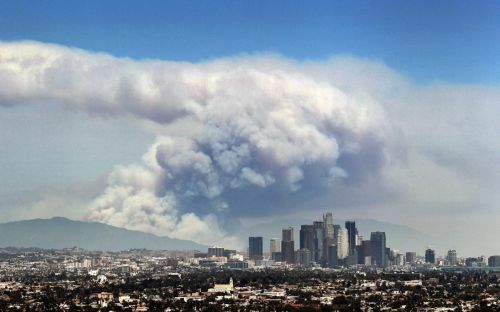 Someday, it might even offer a more permanent home to its residents. The idea of space-condos might sound far-fetched, but that's exactly how Orion Span foresees this project developing. I’ll say this — we might not be able to afford the space-mortgage, but we're certainly interested in a cosmic timeshare. Galileo discovered that other planets have moons and thus extended human understanding beyond our own planet. His careful work with the telescopes he built launched modern astronomy. His discoveries were the first astronomical discoveries using the telescope. Galileo proved that Earth is not unique among planets of the universe. He turned specks of light in the night sky into fascinating spherical objects, into places, rather than pinpricks of light. 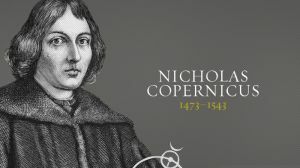 In so doing, he proved that Polish astronomer Nicholaus Copernicus had been right when he claimed that the sun was the center of the solar system. With his simple telescope Galileo single-handedly brought the solar system, galaxy, and greater universe within our grasp. His telescope provided vistas and understanding that did not exist before and could not exist without the telescope. This was a discovery made possible by an invention, the telescope. 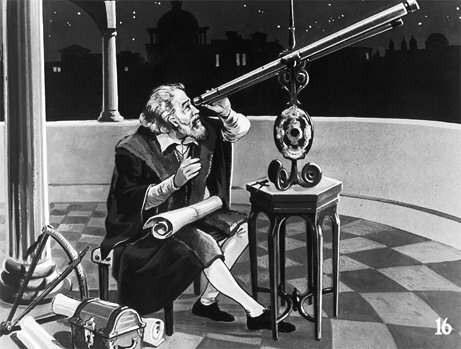 Galileo saw his first telescope in late 1608 and instantly recognized that a more powerful telescope could be the answer to the prayers of every astronomer. 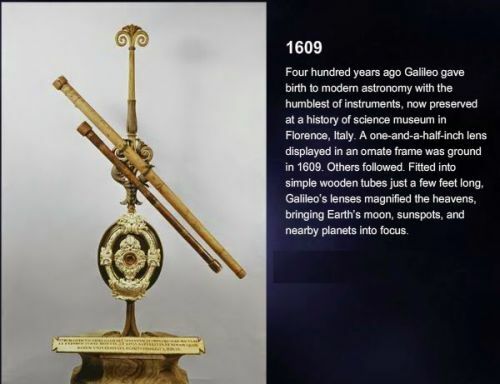 By late 1609 Galileo had produced a 40-power, two-lens telescope. That 1609 telescope was the first practical telescope for scientific use. 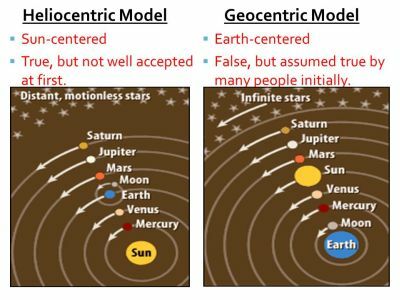 A paper by Johannes Kepler describing the orbits of the planets convinced Galileo to believe the theory of Polish astronomer Nicolaus Copernicus, who first claimed that the sun was the center of the universe, not the earth. Believing Copernicus was a dangerous thing to do. 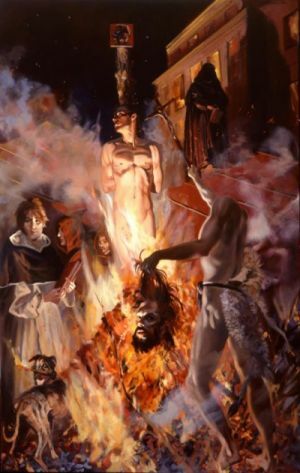 Friar Giordano Bruno had been burned at the stake for believing Copernicus. Galileo decided to use his new telescope to prove that Copernicus was right by more accurately charting the motion of the planets. Galileo first turned his telescope on the moon. There he clearly saw mountains and valleys. He saw deep craters with tall, jagged rims slicing like serrated knives into the lunar sky. 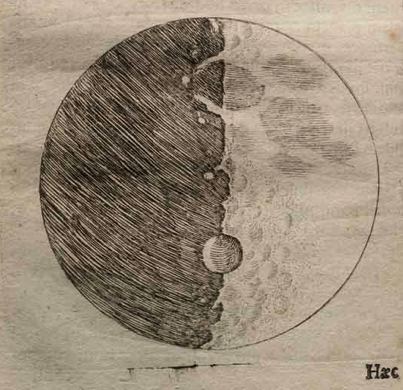 The moon that Galileo saw was radically different from the perfectly smooth sphere that Aristotle and Ptolemy said it was (the two Greek astronomers whose teachings still formed the basis of all science in 1610). Both the all-powerful Catholic Church and every university and scientist in Europe believed Aristotle and Ptolemy. In one night’s viewing of the moon’s surface through his telescope, Galileo proved Aristotle wrong, again. 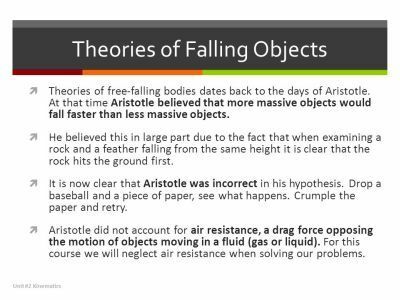 The last time Galileo’s observations had contradicted Aristotle’s teachings, Galileo had been fired from his teaching position for being right when he proved that all objects fall at the same rate regardless of their weight. Galileo next aimed his telescope at Jupiter, the biggest planet, planning to carefully chart its motion over several months. 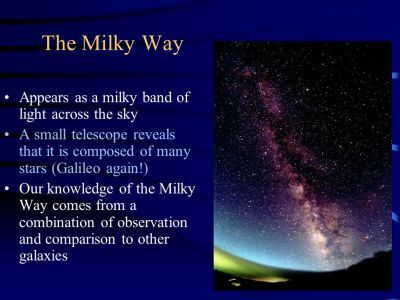 Through his telescope (the name is a combination of the Greek words for “distant” and “looking”) Galileo saw a magnified view of the heavens no human eye had ever seen. He saw Jupiter clearly, and, to his amazement, he found moons circling the giant planet. Aristotle had said (and all scientists believed) that Earth was the only planet in the universe that had a moon. Within days, Galileo discovered four of Jupiter’s moons. These were the first discovered moons other than our own. Aristotle was wrong again. Still, old beliefs do not die easily. In 1616 the Council of Cardinals forbade Galileo ever again to teach or promote Copernicus’s theories. Many senior church officials refused to look through a telescope, claiming it was a magician’s trick and that the moons were in the telescope. 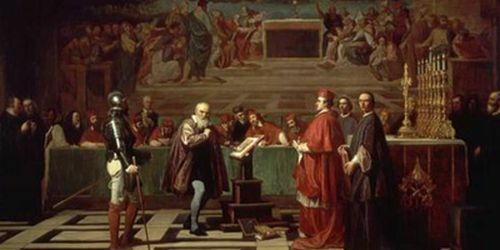 When Galileo ignored their warning, he was summoned to Rome by the Church’s all-powerful Inquisition. A grueling trial followed. Galileo was condemned by the Church and forced to publicly recant his views and findings. He was placed under house arrest for the rest of his life, dying in 1640 without hearing even one voice other than his own proclaim that his discoveries were true. 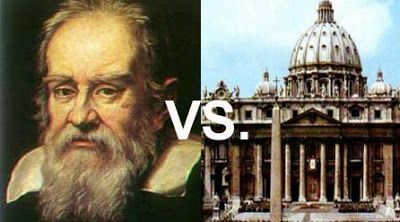 The Church did not rescind the condemnation of Galileo and his discoveries until October 1992, 376 years after they incorrectly condemned him. 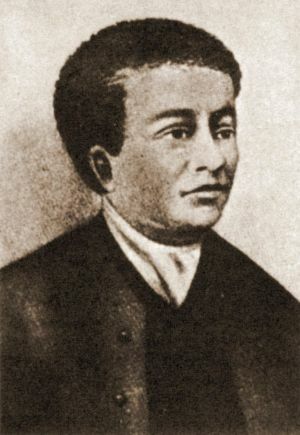 Benjamin Banneker was a mathematician, astronomer, scientist, author, farmer, urban planner, and publisher who once matched wits with Thomas Jefferson. But here's the kicker: He accomplished all that as a black man in the era of slavery. To say he overcame obstacles is putting it mildly. 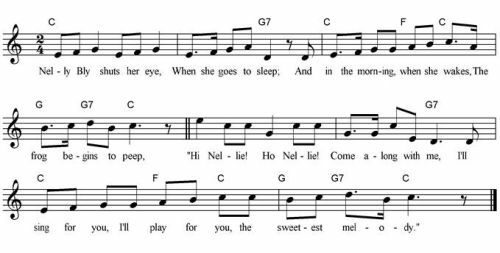 A polymath is a person of multiple talents. 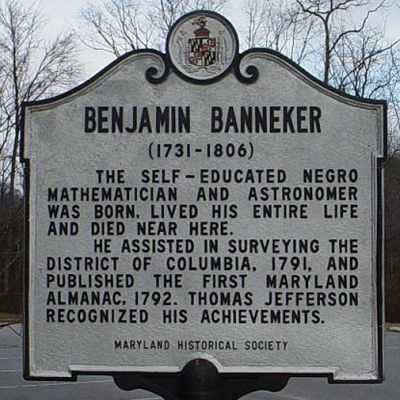 Banneker was born in 1731 to Robert Banneker, a freed slave from Guinea, and Mary Banneker, the daughter of an indentured English servant and a freed African slave. 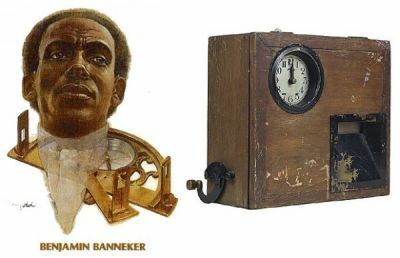 Since both his parents were free, Banneker was never a slave himself. 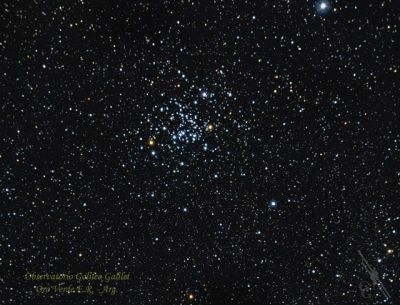 His maternal grandmother taught him to read and he attended a one-room Quaker school for a time, but otherwise taught himself everything he could about astronomy, mathematics, and mechanics. 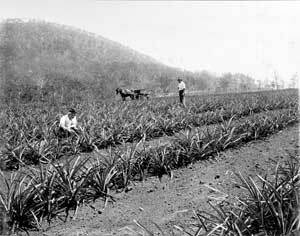 He also became skilled in farming and surveying, constructing an irrigation system for the family farm. At 22, even though he had only ever seen one mechanical watch in his life, he constructed a clock entirely out of wood. That clock is said to have run without ceasing for 40 years and lays claim as the first clock built in the New World. 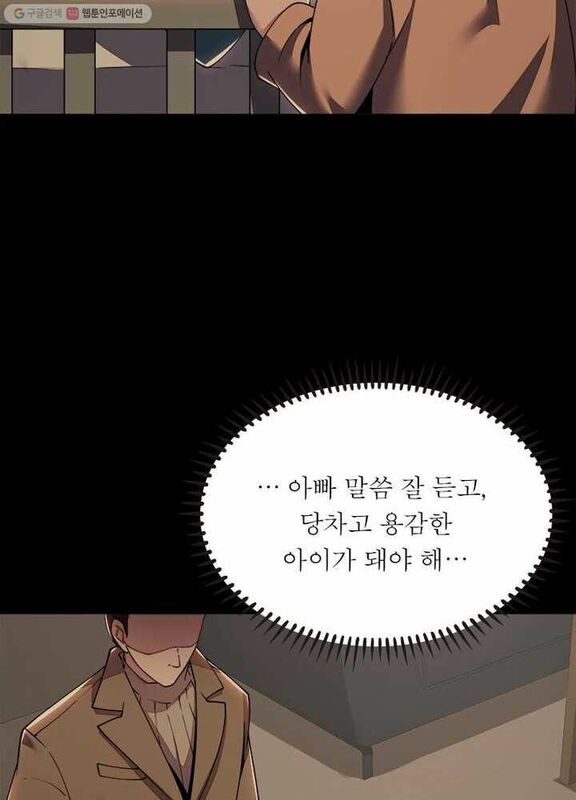 His other achievements came quickly. During the Revolutionary War, wheat grown on a farm he designed helped feed U.S. troops. In 1789, he made a nearly perfect prediction of a solar eclipse — he made a minor error that he later learned was due to discrepancies in his sources, rather than his own miscalculations. 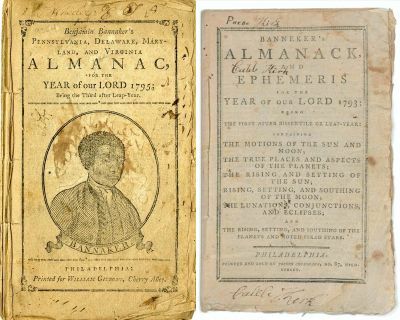 His biggest claim to fame laid in his almanacs, which he published annually from 1792 to 1797 and included astronomical calculations, literature, opinion pieces, and medical and tidal information. As if that wasn't enough, Banneker also published his own studies on bees and locusts. 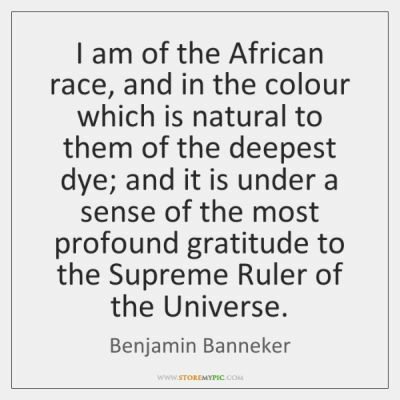 Banneker also proved to be a passionate activist for racial equality. In those efforts, he set his sights on then-Secretary of State Thomas Jefferson. Although Jefferson had declared that "all men are created equal," he still owned slaves and considered them "void of mental endowments." 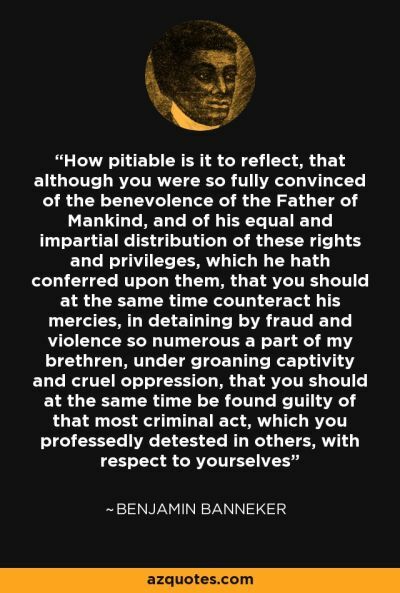 Even so, Banneker was hopeful that Jefferson was open-minded enough to change his position, and wrote him a letter in 1791 in which he used his own considerable accomplishments as evidence against Jefferson's claims. After making a point to "freely and cheerfully acknowledge, that I am of the African race," Banneker chided the Secretary: "Sir, how pitiable is it to reflect, that although you were so fully convinced of the benevolence of the Father of Mankind ... that you should at the same time counteract his mercies, in detaining by fraud and violence so numerous a part of my brethren." He included one of his almanacs with his letter to further support his argument. Jefferson responded with surprising enthusiasm: "No body wishes more than I do to see such proofs as you exhibit, the nature has given to our black bretheren, talents equal to those of the other colours of men, and that the appearance of a want of them is owing merely to the degraded condition of their existence both in Africa and America." 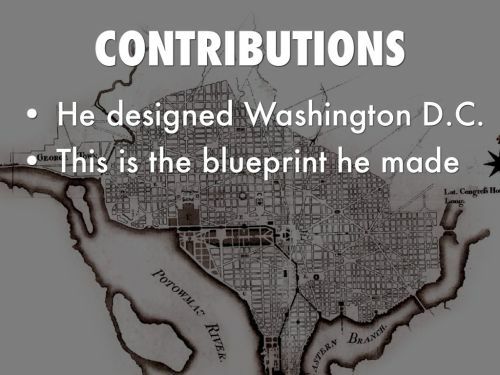 Although this was mostly lip service (Jefferson never freed his own slaves, or made serious efforts to end slavery in the U.S.), Jefferson was so impressed by Banneker that he hired him to survey territory for the construction of the U.S. Capitol. 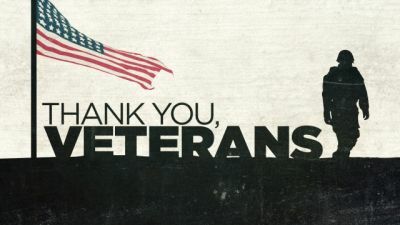 Veterans Day 2018 is today, Sunday, November 11th, 2018 and designated as a Federal Holiday tomorrow, Monday, November 12th, 2018. 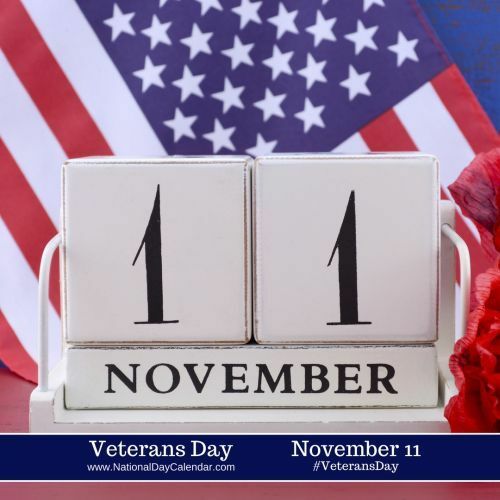 As a federal holiday Veterans Day is typically observed on November 11th every year. 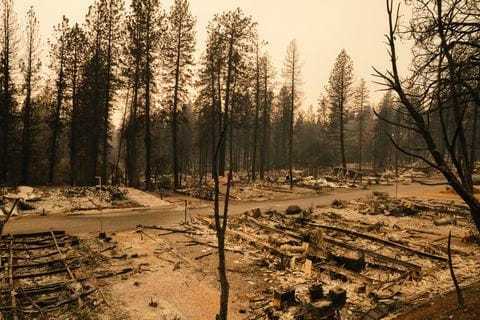 However, if it occurs on a Sunday then the following Monday is designated as the Federal holiday, and if it occurs on a Saturday then either Saturday or Friday may be designated. 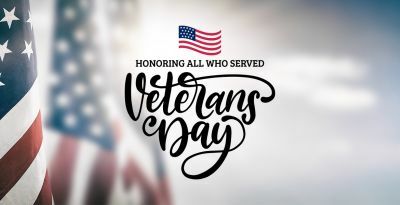 When the Federal holiday and November 11th dates are different often times Veterans Day activities will take place on both days and still many activities are often scheduled the weekend leading up to Veterans Day even if both dates match. 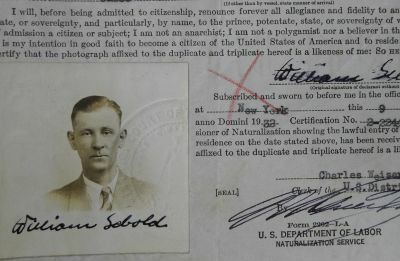 William Sebold, a German native born in 1899, served in his nation’s army during World War I then lived in the United States and South America before becoming a naturalized U.S. citizen in 1936. 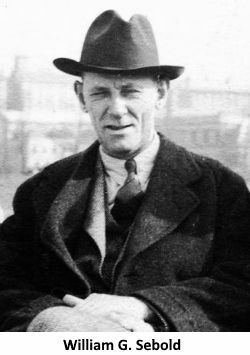 Three years later, during a visit to his homeland, Sebold was recruited to spy on the United States for Germany. 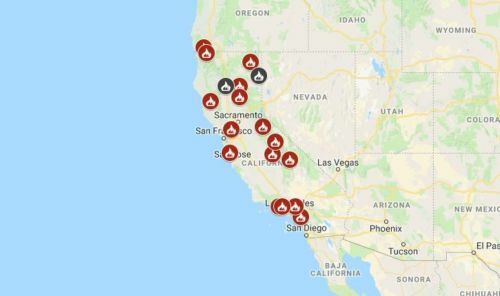 The Nazis, who had learned he once worked briefly at an airplane factory in California, threatened him if he failed to cooperate. Sebold secretly went to the American consulate in Cologne and reported what had happened. 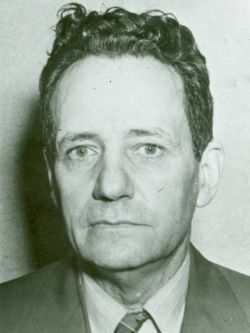 Back in the United States in February 1940, the FBI convinced Sebold to become the agency’s first counterspy, or double agent. The FBI constructed a shortwave radio station on New York’s Long Island, where agents impersonating Sebold exchanged hundreds of messages with the Nazis. 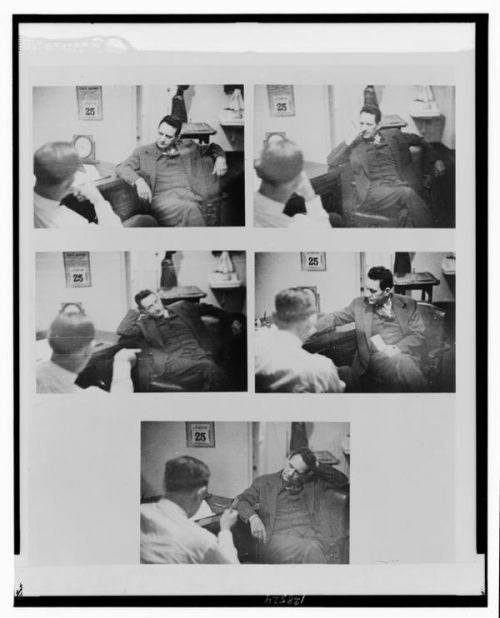 The FBI also helped Sebold set up a specially rigged office in Manhattan, where agents clandestinely filmed him meeting with German spies, including Frederick Duquesne, head of a Nazi espionage network in America. 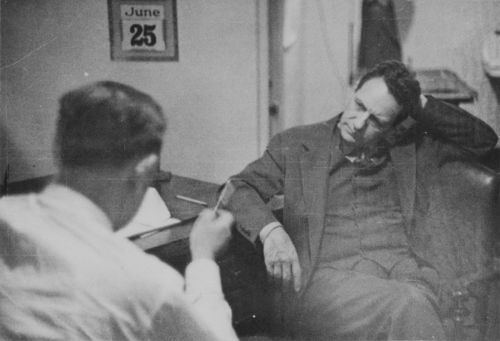 In June 1941, as a result of Sebold’s work, the FBI arrested 33 people accused of spying for the Nazis. 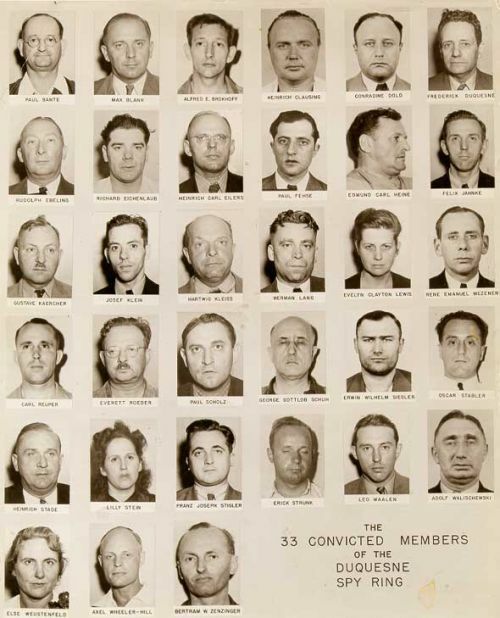 All 33 members of what became known as the Duquesne Spy Ring were convicted that December, shortly after Germany declared war against the United States. 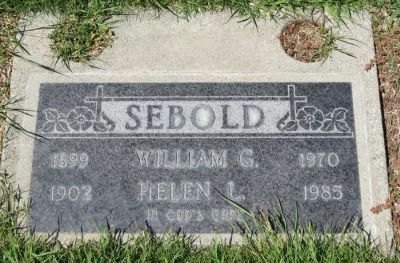 By then, Sebold and his wife had entered a witness protection program. He died in California in 1970. DigitalGlobe's WorldView-3 satellite taken on Nov. 9, 2018. 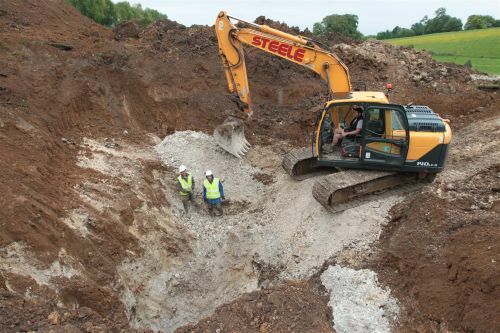 Colin Welch and his brother Sean run Research Resource, a private archaeological team that has carried out several wartime-related projects throughout Kent, the region of England south and east of London and nearest to the European continent. 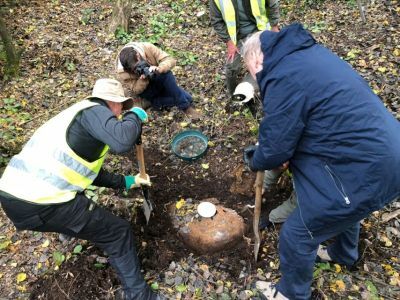 In addition to carrying out the excavation of the V1 crash site, they recently completed a three-year excavation of a V2 rocket crash site, near Sittingbourne in Kent. 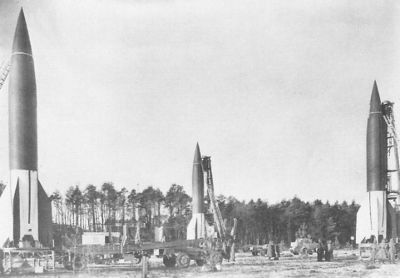 The V2 rockets carried their high-explosive warheads on an arc that took the weapons more than 50 or 60 miles (80/100 km) above the Earth's surface at more than three times the speed of sound, making them impossible to shoot down or intercept at the time. 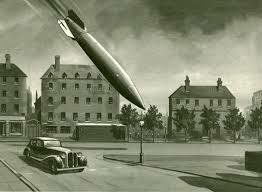 But because the V2 hit its target so fast, much of its explosive power was nearly wasted underground. 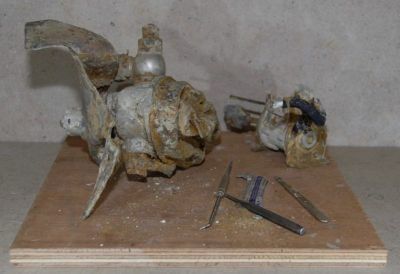 "It wasn't the blast device that the Germans wanted it to be," Welch said. 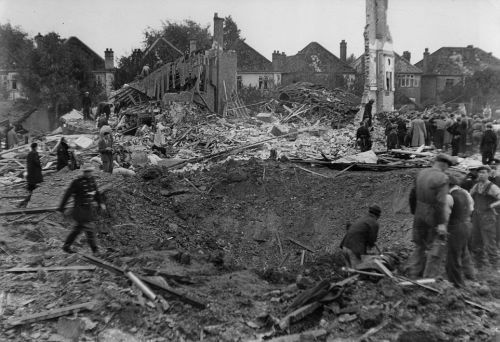 Nonetheless, more than 1,100 V2 rockets were launched at London in the last months of the war, killing more than 2,000 people in Britain. Another 20,000 slave-workers were killed while making the dangerous rockets at Peenemünde in the German Baltic. 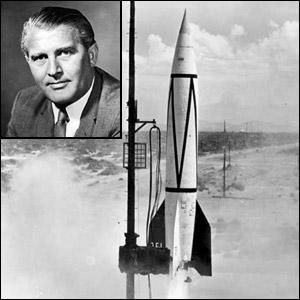 After the war, several captured German V2 rockets were used to establish the U.S. military missile and civilian space programs, under the direction of the captured German rocket scientist Wernher von Braun. 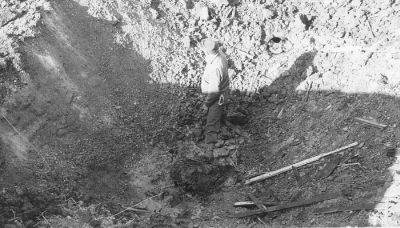 Welch said the greatest challenge of the recent V1 and V2 excavations was conserving the metal parts that remained after the explosions. 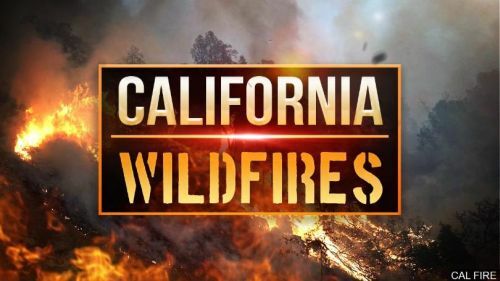 Most of the steel used in their construction had eroded away in the wet and acidic soil, but many aluminum parts remained, he said. These included a V1 fuel compressor, parts of the V1 pulse jet and guidance system, and fuel "burner cups" from the V2 rocket. 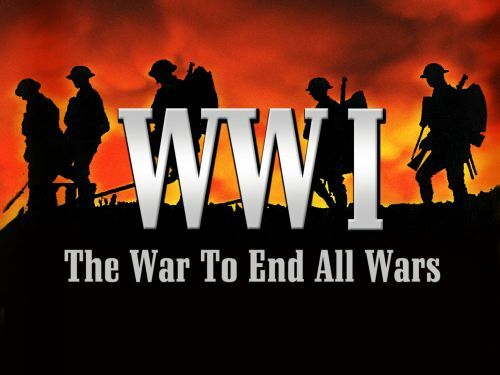 Welch and his brother now hope to create an online museum of their v-weapon excavations, which would include 3D models of the recovered artifacts and historical information about the wartime V1 and V2 campaigns. 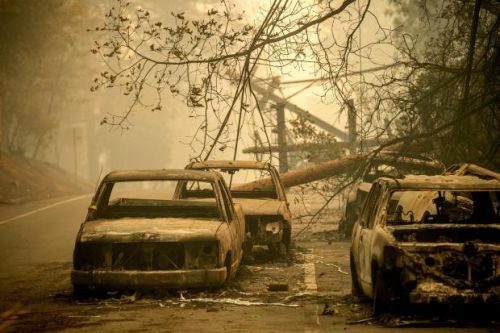 "This is our history, and it's got to be documented somehow in a responsible way," Welch said. Thanks ... never heard of it. 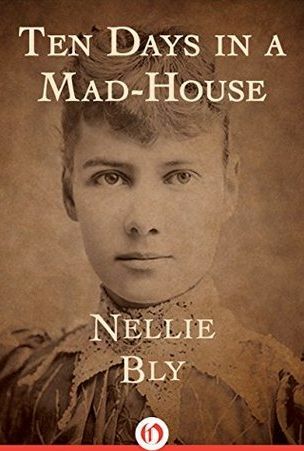 In her heyday, Nellie Bly was possibly the most famous woman in America, but now has been largely forgotten. 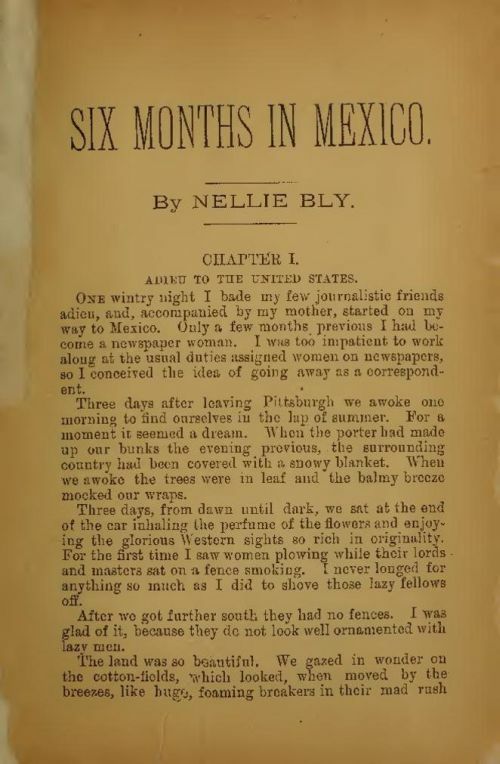 She was a daring foreign correspondent in Mexico when she was barely out of her teens, and wrote a book about it. 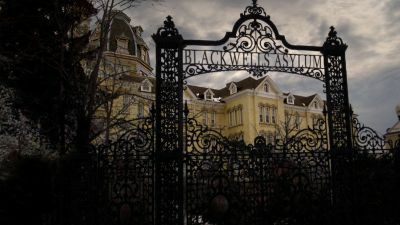 Nellie went on to greater renown when she went undercover as a patient in a New York lunatic asylum and revealed the cruel neglect with which the mentally ill were treated. 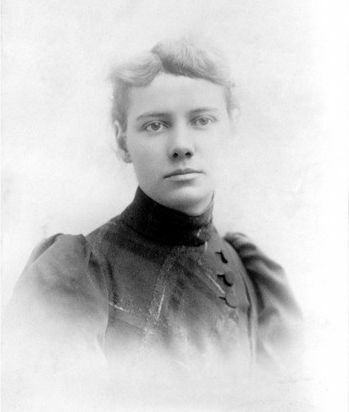 Her book, Ten Days in a Madhouse, published when she was 23, became a bestseller. 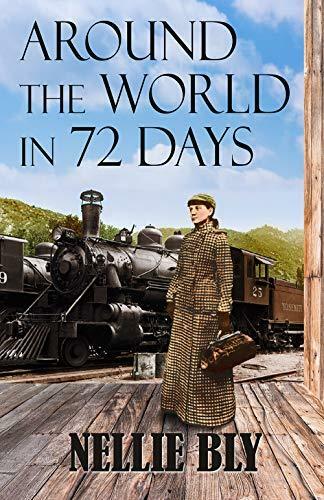 Nellie’s greatest fame came two years later when she set out to emulate Phileas Fogg and journey around the world in 80 days. 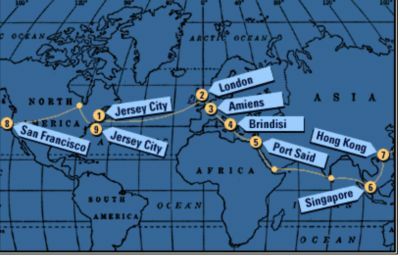 Her dispatches to the New York World as she travelled the globe were read by millions. 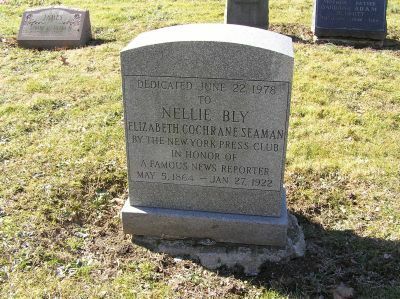 She gave up journalism at the age of 30 to marry and died 30 years later in New York. 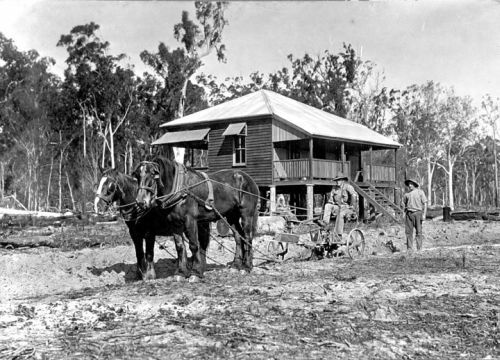 In the years following World War 1, the Australian Government struggled to find things for their veterans to do upon returning home. 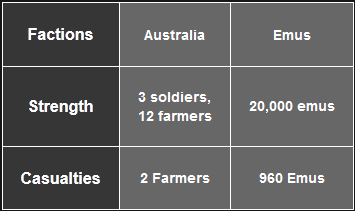 From 1915, a 'soldier settlement scheme’ began to be rolled out across all states, and eventually it saw around 5,030 ex-soldiers given plots of land, which they were to convert into working farms, primarily to cultivate wheat and sheep. 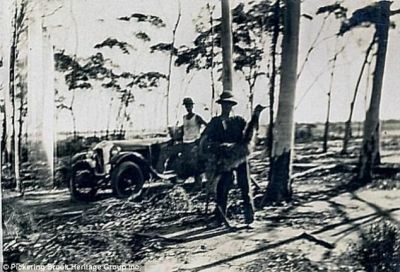 By September 1920, the government had purchased 90,000 hectares for the veterans, but still needed more, and started to place the remaining soldiers in some pretty marginal areas of Perth in Western Australia. This made things tough, because setting up a prosperous farm with little to no experience in a good area is no small feat, let alone in an area where the land is barely useable. 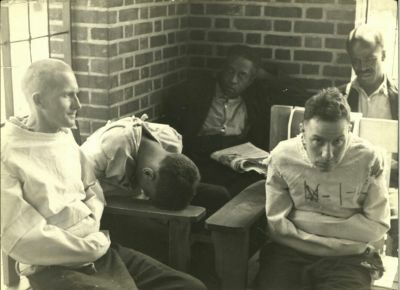 And on top of that, the veterans were put under even more pressure when the Great Depression hit in 1929, causing wheat prices to plummet. The government promised subsidies for wheat, but those subsidies never saw the light of day. 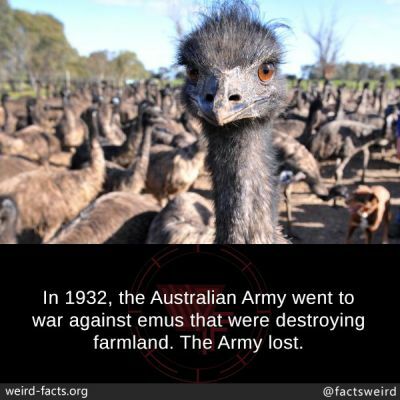 And then there was the issue of the tens of thousands of West Australian emus that wanted their land back. 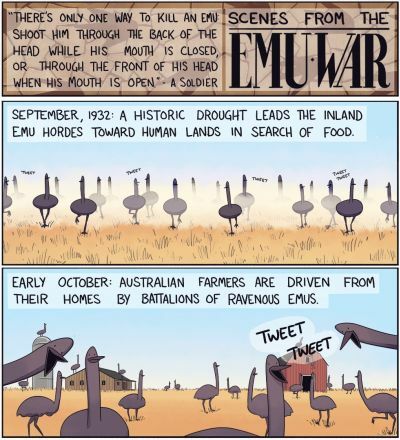 Emus had been a protected native species up until 1922, when they’d made such a nuisance of themselves on the wheat farms - flattening crops, eating them down to a stub - that they were officially reclassified as ‘vermin’. 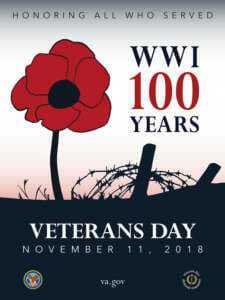 By late 1932, there were 20,000 of them wreaking havoc on the marginal wheat farms of the beleaguered veterans, and even these men, trained riflemen, who felled thousands of the mighty birds, could not put a dent in their numbers. Bounties were put on their beaks, but to no avail. The veterans couldn’t get access to the ammunition they needed, so they called on the Australian military to take action. 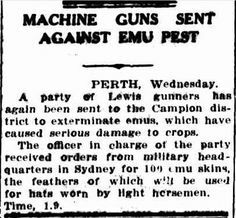 It was a pretty ludicrous idea - sending the army to cull 20,000 flightless bird giants - but as Murray Johnson suggests in the Journal of Australian Studies, it could have been a propaganda exercise to show that the government was doing something to support its struggling war heroes. Led by Major G.P.W. 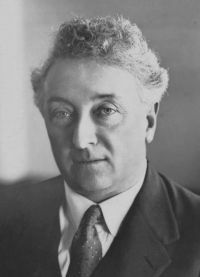 Meredith of the Seventh Heavy Battery of the Royal Australian Artillery, the army set out on 2 November 1932, determined to gun down a group of 50 birds in the district of Campion. 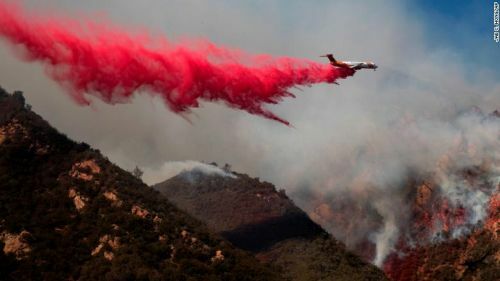 They moved in formation behind the birds, and the birds answered their organized assault with inspired chaos, scattering themselves in all directions to minimize the casualties. But despite their best efforts, says Johnson, “the first blood in the bizarre ‘Emu War’ had thus been drawn by the Australian army." The army tried gunning them down in moving trucks, but found they couldn’t aim properly at their speedy foes. A lone victim rendered himself a nuisance all the way to the end, his corpse getting tangled up in the vehicle’s steering equipment, which caused it to veer off and destroy half a length of somebody’s fence. 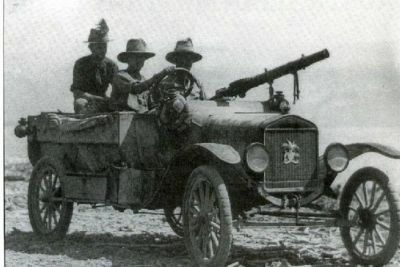 A second campaign was mounted by Major Meredith on 13 November 1932, killing 40 emus. 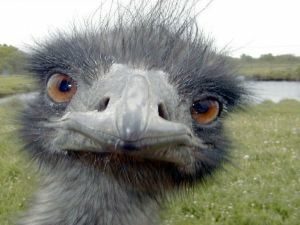 Two days later, barely any, but about a month later its was reported that 100 emus were being killed every week. Even so, Meredith did the math and found that it took 10 bullets to bring down every one emu, which was a pretty dismal effort. 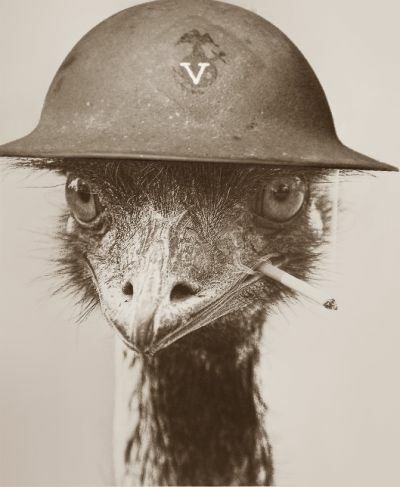 He was recalled and - all praise our skittery warrior bird-giants - the Great Emu War had finally come to an end. 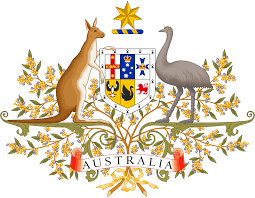 Now, the gangly bird that takes its place of pride on the Australian coat of arms with our other awkwardly-gaited native, the kangaroo, has had its status as a protected animal reinstated. The emu population around Australia is estimated to be around 600,000 to over 700,000, and nationally they're classified as 'of least concern'. 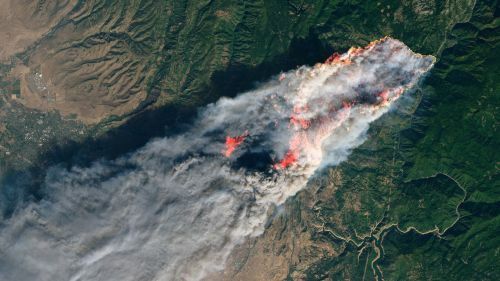 But conservationists are working to save several wild populations at risk of local extinction due to encroaching human activity, including the western Sydney population and the Clarence Valley population in Grafton, New South Wales.